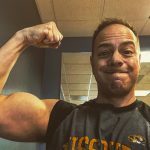 Posted on February 12, 2018 March 21, 2018 by Mat A.
Lifestyles vary but being honest it feels like we are running almost all the time. I don’t know if you remember those commercials that drug companies used to run when they were pushing their latest “breakthrough discovery” pill. One of my personal favorites was the one that used to start our by saying “Do you sometimes feel tired when you wake up?” I’m like for real??? How about I’m always tired when I wake up. Anemia is a leading cause of fatigue and it is as a result of a deficiency of red blood cells in the body. The function of red blood cells is to draw oxygen from the lungs to the cells and tissues in the body. With lack of oxygen in the body, you will experience shortness of breath and loss of strength. Other factors that may cause Anemia include a deficiency in vitamins, bleeding internally, loss of blood, kidney failure or cancer. Adult women are more exposed to the risk of developing anemia because of the blood they lose during menstruation and childbearing. Feeling tired is one of the symptoms of anemia, and you should try to visit a physician for physical tests as well as blood tests. A complete blood count should be done to make sure that your red blood cells level is adequate. Over one million people get diagnosed with type-2 diabetes annually, and a lot of other people who have it do not even know they do. Diabetes arises when the body is unable to make use of body sugar which then builds up in the blood. Sugar (glucose) helps keep the body running and supplies the body with energy. The moment the body is unable to use the sugar in it, there will be a depletion in body energy which causes fatigue. If the cause of your constant tiredness is diabetes, its symptoms include loss of weight, thirst, blurry vision, hunger, and frequent urination. 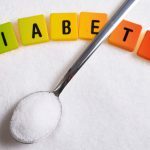 To get a diagnosis and know if what you are suffering from is diabetes, there are a couple of tests you can have carried out on you such as The fasting plasma glucose test and oral glucose tolerance test. This is another reason why you may be feeling tired now and then lately. If you are suffering from this condition, you tend to get tired easily for every little activity that you engage in. Other symptoms of chronic fatigue include weakness, pain in the joints and muscles, headache, loss of concentration, etc. to know if you are suffering from Chronic Fatigue, your doctor has to confirm that you are not suffering from any other condition that has the same symptoms. This is a complicated disease to diagnose and it will most likely take repeated trips to the doctor if you were to finally arrive at this diagnosis. Thyroid disease is much more common than chronic fatigue syndrome. You will constantly feel tired when your thyroid hormones are malfunctioning. Thyroid hormones which control body metabolism are produced in the thyroid gland which is located in the front of the neck. When the hormones are too much, metabolic actions are fast, and when thyroid hormones are not enough, body metabolism becomes slow. High hormone content is known as hyperthyroidism, and its symptoms include fatigue in the muscles and general body weakness. It becomes difficult to engage in activities that require the use of the limbs. Other symptoms of hyperthyroidism include loss of weight, fast heartbeat, constant warm feeling and thirst, shorter and occasional menstrual flow. Hypothyroidism, on the other hand, causes weight gain as a result of too much water stored in the body, loss of concentration, fatigue, sore muscles, constipation, frequent menstrual flows and constant cold. Thyroid disease can be diagnosed through a blood test, and if you begin to constantly feel tired all the time, you should get tested, especially since it’s an easier test. Depression is one illness that affects the overall health of a person. Most of us tend to think of it as a mental condition which it definitely is but there are also physical components to it. 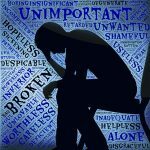 From inadequate sleep to inability to eat and a general feeling of being down. Depression deprives the body of all the things it needs to function optimally. The feeling of depression varies from individual to individual, but one thing that is common to everyone suffering from depression is tiredness. Other feelings associated with depression include lower levels of energy, negativity, loss of concentration, sleep, and eating disorders. Depression cannot be diagnosed through a blood test, but there are some symptoms that are peculiar to depression. If these symptoms go on for too long, up to or more than a month or two, then you should endeavor to see a doctor or mental health expert. These symptoms include having too little or too much sleep, inability to eat (loss of appetite) which may lead to loss of weight, overeating leading to weight gain, persistent headache, constipation and digestive disorders, thoughts of suicide or death, feeling of hopelessness or worthlessness, being forgetful and loss of interest in activities you used to enjoy doing. The question, “Why am I so tired lately?” is one that shouldn’t be ignored if you find yourself saying this day after day, week after week, and especially month after month. You should seek help, get diagnosed and treated appropriately. Being tired makes you unproductive and unable to get anything done. This is the only way to live a very healthy life and be able to carry out your regular life activities. I think by now you know I am a huge proponent of taking care of yourself, both physically and mentally. Life is meant to be enjoyed and if you are tired all the time it makes it a lot harder to enjoy it. Being tired has really become something common these days. And, of course, it shouldn’t be this way. Thinking that it’s just a natural part of the adult life can mask a serious condition as you well explained. I appreciate your tips as to take those precautionary moves for a couple of weeks and observe if the tiredness is solved. I plan on adopting some of them myself. Hi Elaine, thanks for stopping by and sharing your insights. 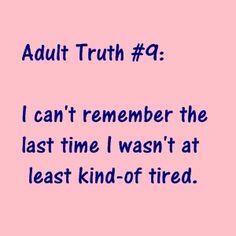 I know of a few people in my world who seem to be tired like most of the time. I do think some of it is simply the wear and tear of life BUT I think it’s also possible to find more energy. Cheers!! You are right. While some people are just being a total lazy bum, but there are actually a lot of people who are suffering from actual problems. I remember that there was this man I read about on the news. He was so tired all the time, he took a lot of sick days to rest. Later, it got to the point where he had to quit his job entirely. Later, he was diagnosed with diabetes two combined with hypothyroidism. The funny thing is, he was not even fat. However, you just never know. He has not seen the doctor for five years so he was unaware of his body condition. If anybody feels awkwardly tired, the doctor is an important person to see. Do you agree? There are certainly a fair amount of folks who are tired from primarily not getting enough movement and exercise. That coupled with poor eating habits can create an ongoing tiredness. But to answer your question I think that if someone finds themselves tired a lot they should first change some of their not great life habits and try to get more sleep, exercise, and eating better. If that doesn’t work definitely go see a doctor. Your health is of utmost importance.